Audio for 40's-80's Classics, Customs & Streetrods since 1977. We have been providing classic car audio solutions since 1977. Our reputation as industry leader has lasted because our products last. We provide a two-year limited warranty on all our radios but the chances of you needing it are slim. 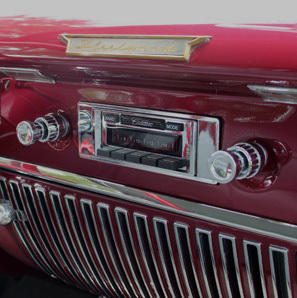 Our classic car radios and speakers are manufactured to the same standards and often in the same facilities as major brand name audio companies. Our skilled technicians modify each of our custom fit in-dash radios by hand to ensure a perfect fit in your vehicle’s dash. We implement rigorous quality control and use only the best technologies available to provide our customers with exceptional sound quality with a classic look. 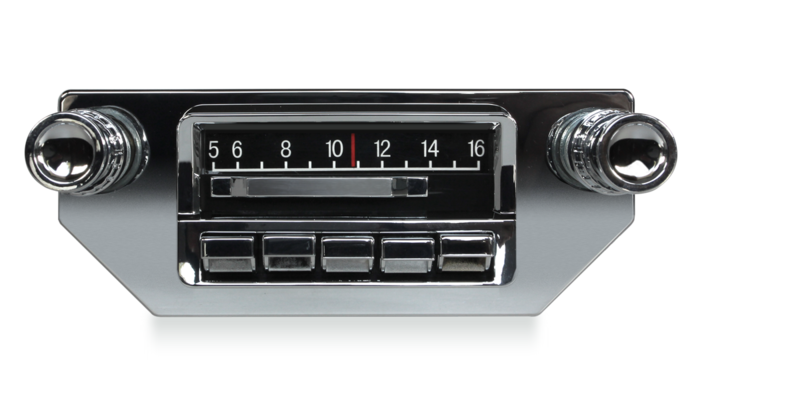 We design our classic car radios with manufacturer bezels, custom knobs & finishes in dozens of configurations. 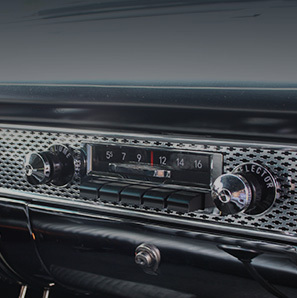 Our radios help you maintain the classic, authentic look of your ride without sacrificing sound quality. 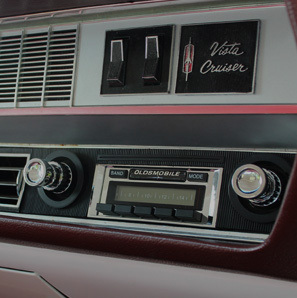 Our Slidebar Radio offers classic car audio enthusiasts the best of both worlds: a true, functional slidebar selector and a modern digital display in the same stereo. Simply slide the bar to the right to hide the analog slidebar and reveal a full featured digital display underneath to learn more click here. Use our store locator to search by city or zip code and find a Custom Autosound retailer near you!